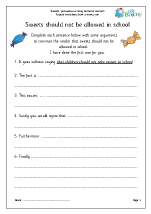 As children progress through primary school they are expected to be able to write in different styles, one of which is known as persuasive writing. Persuasive writing is all around us; T.V. 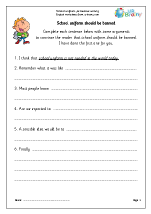 advertising, newspapers, magazines, the internet and social media are full of examples of persuasive writing. 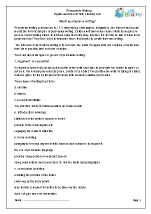 The intension of persuasive writing is to convince the reader to agree with your opinion or belief and from there possibly take a course of action. 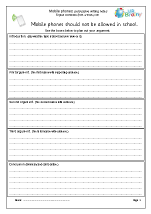 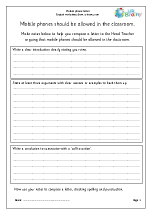 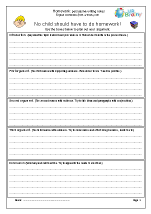 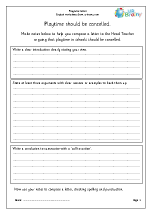 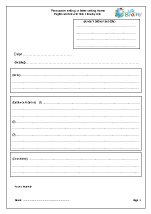 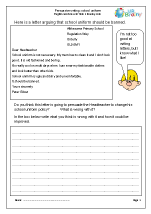 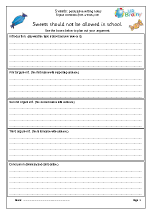 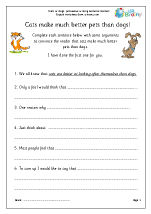 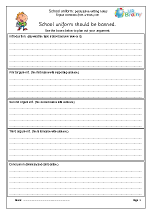 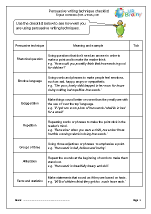 We have just published a superb set of worksheets which look at how to do this. 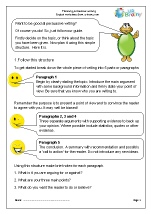 Firstly we look at how to structure the writing, what to include in each paragraph and the type of grammar and vocabulary to use. 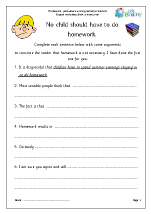 Following this are some great topics to write about, ranging from pets to homework.